Fry the pancetta in a little oil along with the whole garlic clove. When the garlic has browned, remove and discard. Add the chilli and fry for a few seconds. Add the passata and cook over a low heat for about 30 minutes. Meanwhile put the mussels in a pan along with the wine and cook over a high heat until the mussels have opened. Drain and reserve the liquid. Shell the mussels, reserving a few for decoration. 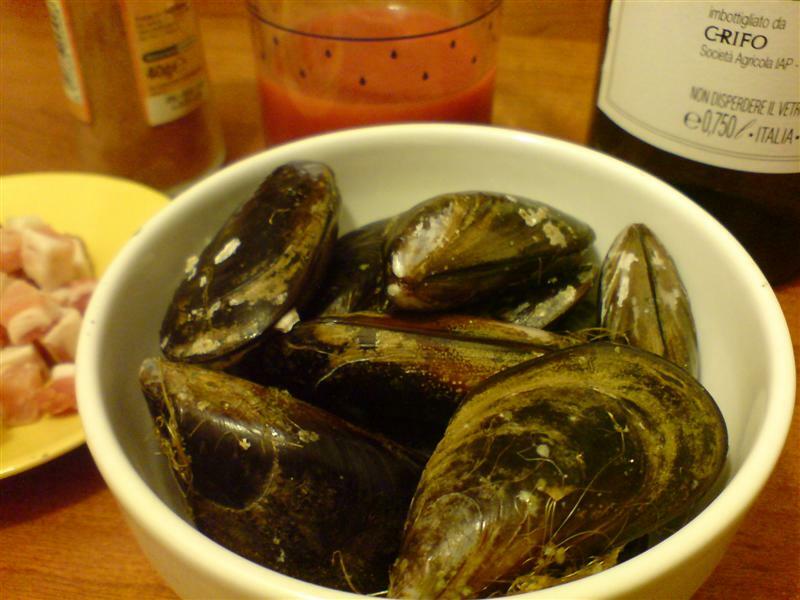 Pour the mussel liquid into a large pan and add water to make it up to about 3 litres. Bring to the boil and cook the pasta until al dente. Shorlty before the pasta is ready, add the mussels to the tomato sauce and allow to heat through for a minute or so. Drain the pasta and add to the pan with tomato sauce. Mix well and serve with the pecorino on the side. From Lazio. What is Carbonara? 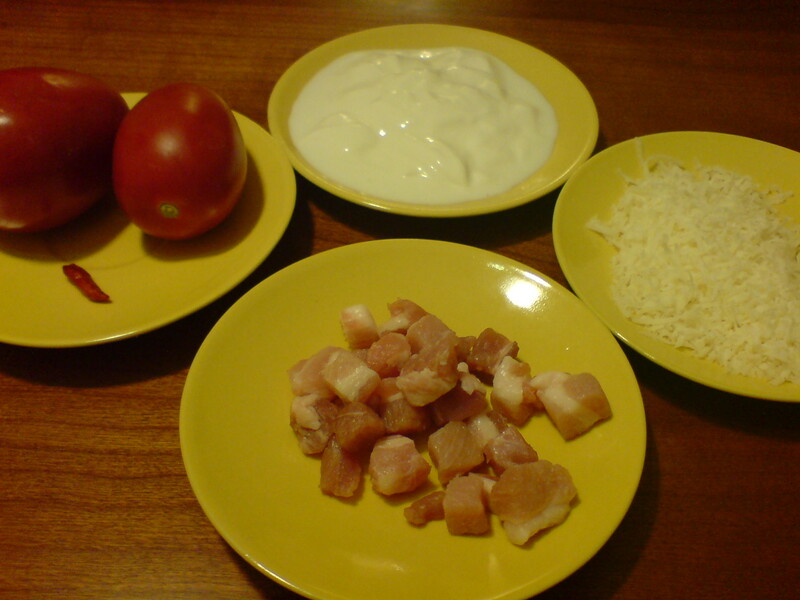 If You ask an Englishman they’ll probably tell you it’s a dish prepared with cream and ham! Nooooooo!!!!! 😉 More crimes against Italian food have been committed under the name of Carbonara than any other dish. So, in an attempt to set the records straight, I present the authentic recipe (as deposited in the archive of Acadamia Italiana della Cucina). No cream! No ham! And don’t you dare cook the eggs! 🙂 Serves 6. Cook the guanciale in a pan along with the whole peeled garlic clove and a little oil, until the guanciale is well coloured. Discard the garlic. Beat the eggs in a bowl with a little of the cheese and a pinch of salt. Cook the pasta until al dente, drain and add to the pan with the guanciale. Lower the heat to a minimum and add the egg mixture. Mix well. Be careful not to let the eggs set. If the dish is a little dry, beat in a little of the pasta cooking water. This is not mentioned by the academy, but some people say it’s essential for the “creaminess” of the sauce. Remove from the heat and add the rest of the cheese. Mix again and serve immediately. Here’s a quote from Kate/Susan over at Kate, Katie, Susan, Sue who cooked the recipe as part of an Italian evening. And this one’s from Cui at Equipoised. 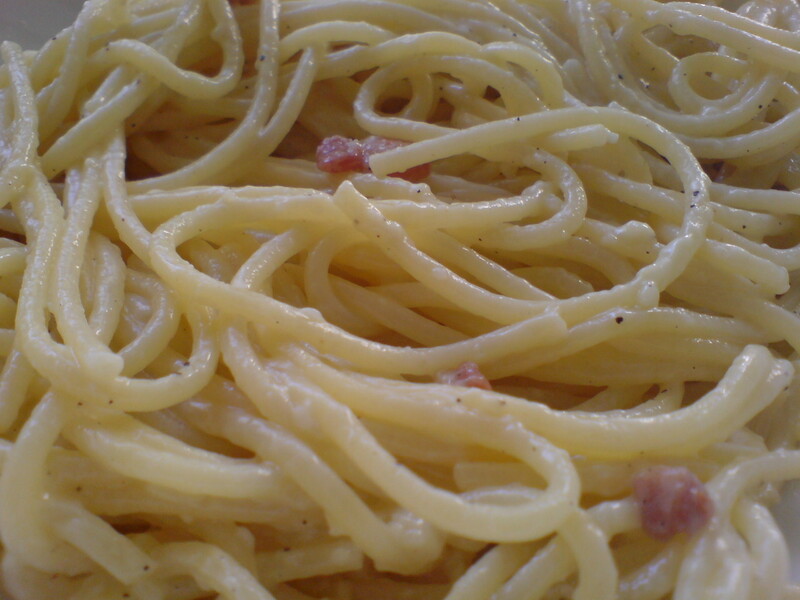 The bottom line… carbonara typically feels too heavy and sickening after a while because of the addition of cream (an American adulteration). The egg way produces a much lighter, more palatable dish. And it was really the best carbonara I’ve ever had, ever. I tend to serially order carbonara at Italian restaurants because it is by far my favourite pasta, and I’ve had a lot of carbonara, but I feel like I can’t have it with cream any more after trying this. Spaghetti all’ amatriciana. From Lazio. This is another Italian classic. Pasta with pancetta (or guanciale if you want to be really authentic), tomatoes and chilli. 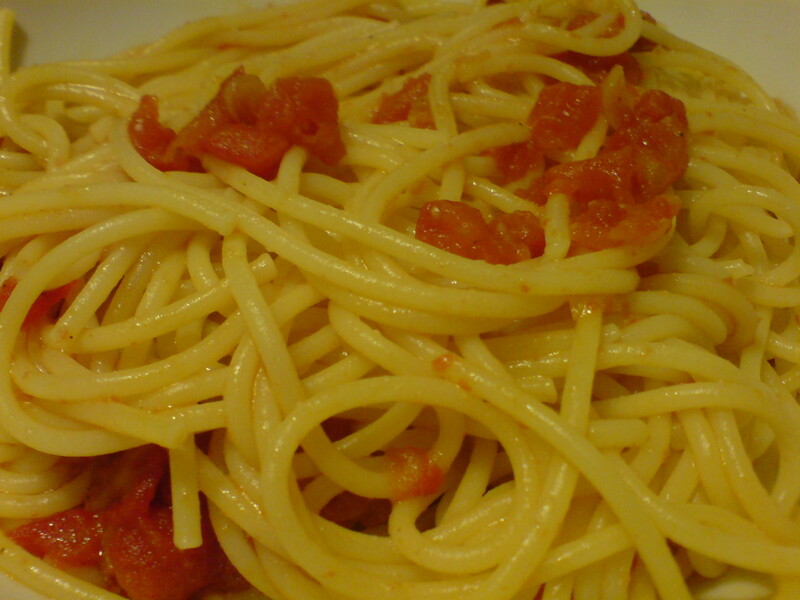 It is more traditionally served with bucatini, but is just as often served with spaghetti. Serves 4. Grease a flameproof casserole with oil, add the pancetta and cook over a low heat until the fat starts to run. Add the onion and cook until lightly browned, stirring occasionally. Add the tomatoes and chilli, season with salt and pepper, cover and cook for about 40 minutes. If it looks like drying out, add a little water. Serve with the cooked spaghetti. 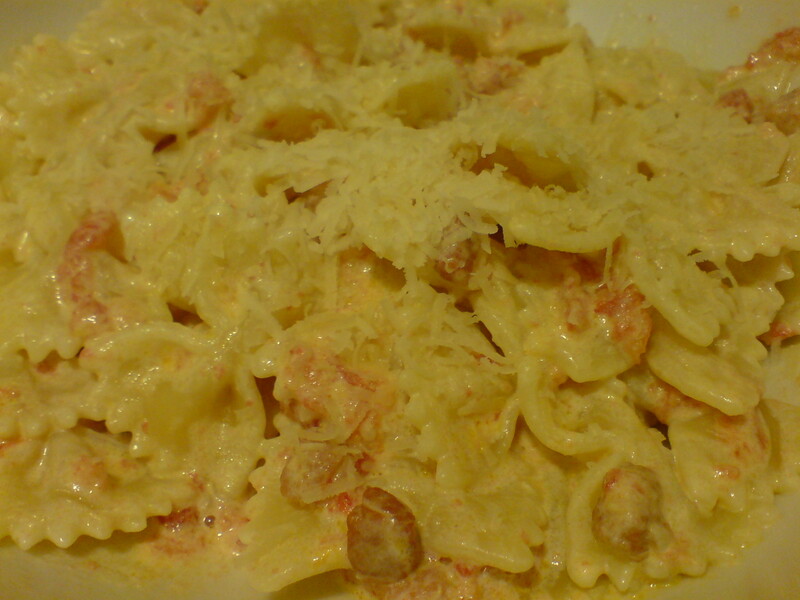 Farfalle alla pancetta. Serves 4. Heat a little oil in a pan. 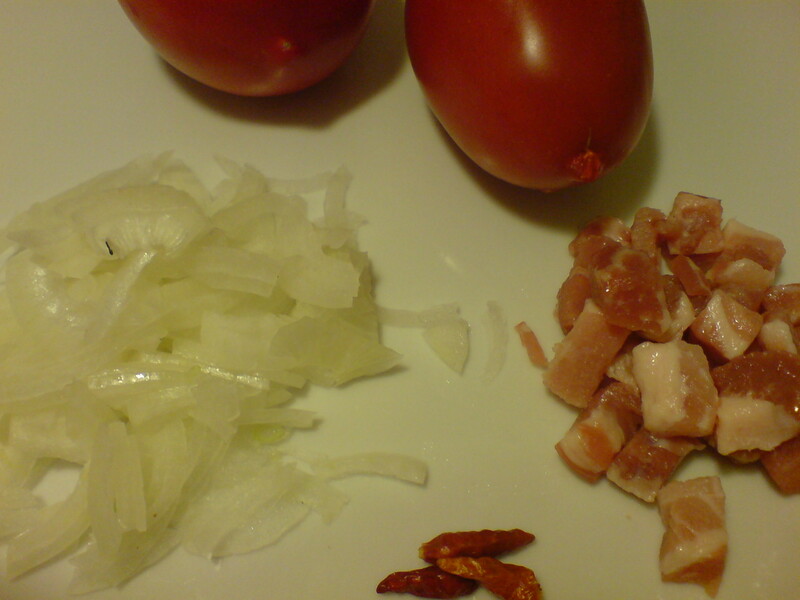 Add the pancetta and chilli and cook until the pancetta is lightly browned. Add the tomatoes, season with salt and cook over a low heat for around 30 minutes. Reduce the heat to minimum and stir in the cream. Cook very gently until the sauce starts to thicken – about 5 minutes. Cook the pasta, drain and add to the sauce. Cook for 30 seconds or so, stirring all the time, to allow the pasta to take up the sauce. Serve topped with the parmesan. In truth there probably isn’t one authentic recipe for Ragu alla Bolognese, but this one is close enough. There are however countless inauthentic ones. It bears little or no resemblance to the dish known as Bolognese or Bolognaise found outside of Italy. It is also never served with Spaghetti! 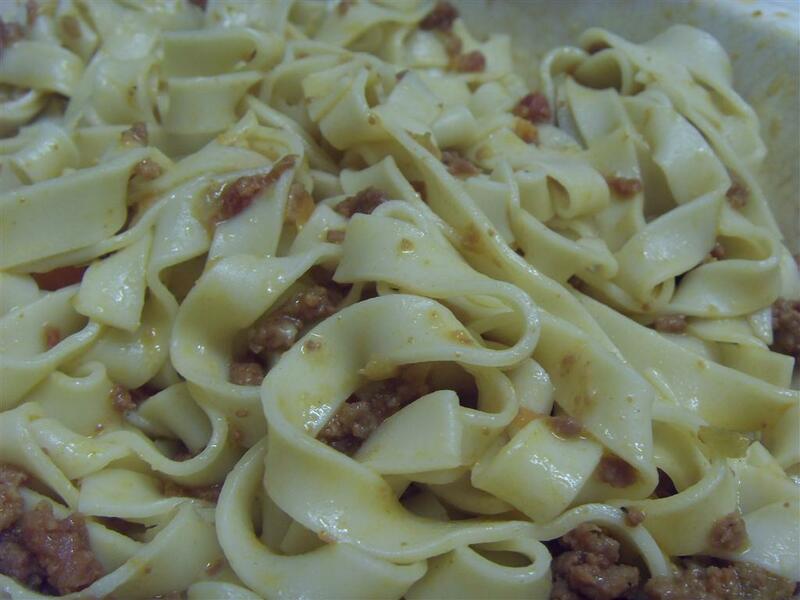 On October 17, 1982, the Bolognese chapter of the Accademia Italiana della Cucina, “after having carried out long and laborious investigations and conducted studies and research”, announced the following recipe to be the official one. I’m sure that every family in Emilia Romagna has their own version though. Serves 4. 300 grams minced beef – The recommended cut is thin flank aka skirt (finta cartella in Italian) but any good quality mince will do. Fry the pancetta gently in a little olive oil until it starts to release its fat. Be careful not to burn. Add the vegetables and fry until the onions are transparent, stirring from time to time. Add the beef and cook until it is lightly browned. When it starts to make popping noises, it’s done. Add the tomato puree and the wine and mix well. Add the milk, little by little until it is completely absorbed. Season with salt and pepper, cover and cook very slowly for 3 to 4 hours. Stir occasionally and if it looks like drying out, add a little more milk. Serve with Parmesan cheese on the side. Alternatively toss the pasta first in a little butter and then in Parmesan before adding the meat sauce. Variation: The Academy allows the addition of Porcini mushrooms. A ragu Bolognese style is a meat sauce that is slow simmered for at least an hour to develop a complex flavor and proper thickness. Cooking the ragu in a heavy-duty enamel or similar pot will hold the heat steady and help to give a velvety texture to the ragu. Bolognese ragu is a classic sauce for lasagne and tagliatelle. The sauce also freezes beautifully. Bolognese sauce (ragù alla bolognese in Italian) is a meat- and tomato-based pasta sauce originating in Bologna, Italy. 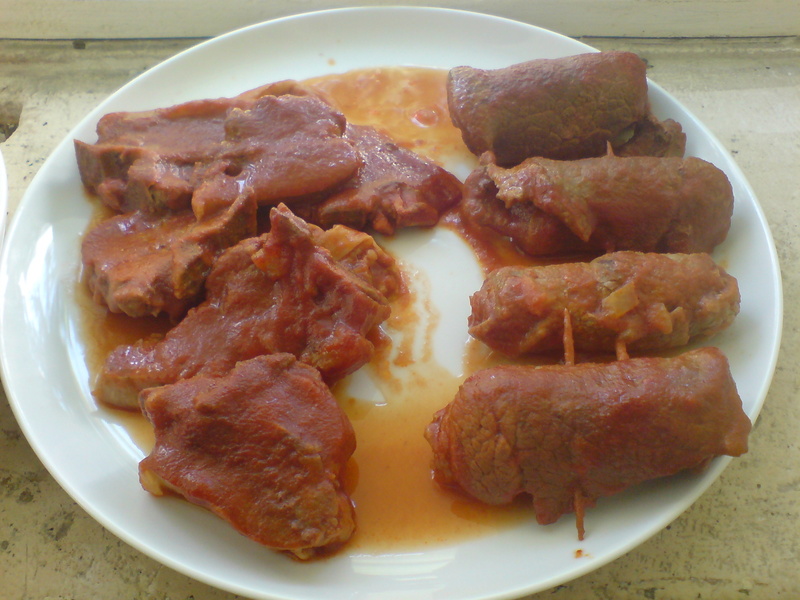 It is typically made by simmering ground meat in tomato sauce, white wine, and stock for a long time (often upward of four hours), so that the meat softens and begins to break down into the liquid medium. 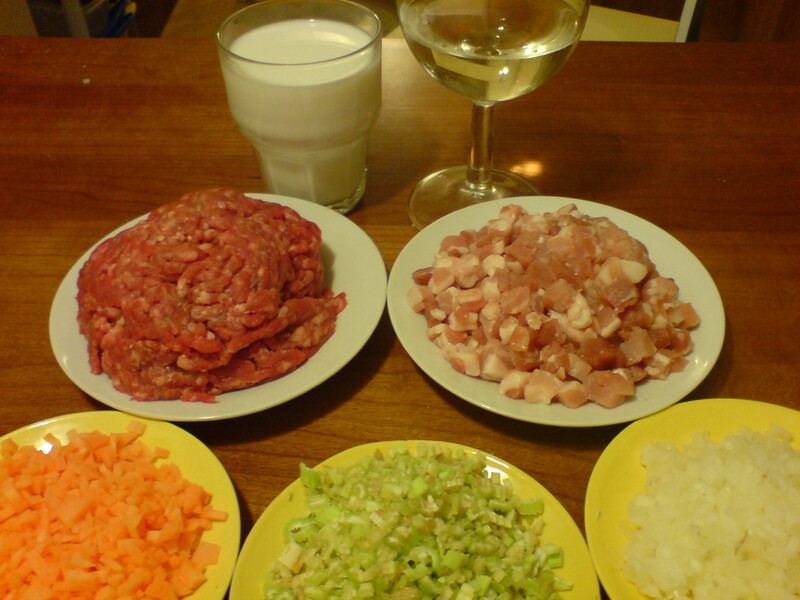 The original sauce is not done with minced meat; instead, whole meat, usually beef or veal, is chopped with a knife. Spaghetti alla Bolognese, or spaghetti bolognese which is sometimes further shortened to spag bol, is a dish invented outside of Italy consisting of spaghetti with a meat sauce. In Italy, this sauce is generally not served with spaghetti because it tends to fall off the pasta and stay on the plate. Instead, the people of Bologna traditionally serve their famous meat sauce with tagliatelle (‘tagliatelle alla bolognese). Outside the traditional use, this sauce can be served with tubular pasta or represent the stuffing for lasagna or cannelloni. While “Bolognese” is undoubtedly the most popular ragù in this country, it is also the most misunderstood. The ragù you get by that name is usually a characterless tomato sauce with pea-like bits of ground beef floating in it, bearing little resemblance to anything you’d find in Bologna. And not, in any sense, a ragù. 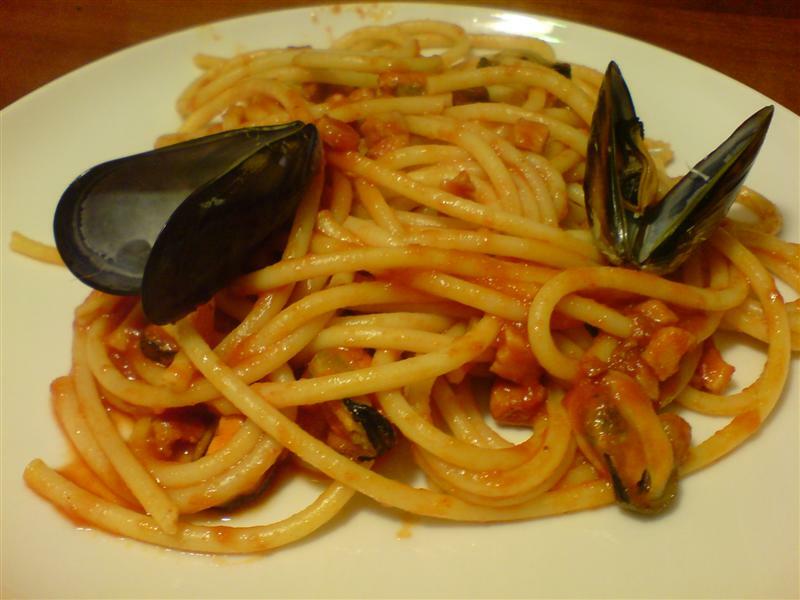 This is another recipe from Tiziana (many thanks). This one of the most common ‘Sunday lunches’ in Bari. I think it’s known as “Sunday gravy” in the Sates. The recipe doesn’t give very precise measurements as it depends how many people you are cooking for and your personal taste. As a rough guide allow 2-300g of meat per person. 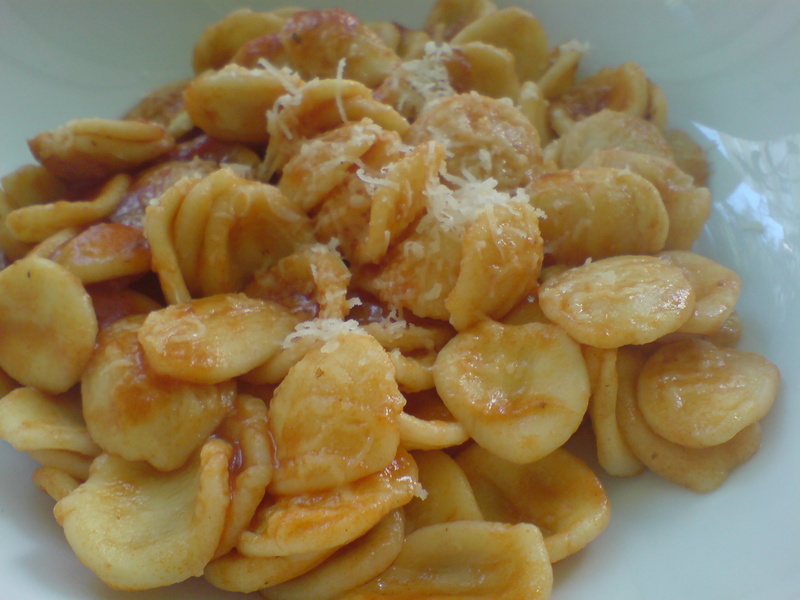 Tiziana usually serves the ragu with orecchiette, but you can use your favourite pasta. Serve the meat separately as the second course. Chop together the lardo, parsley, garlic, pepper and pecorino to make a coarse paste. Place a little of the paste in the middle of each slice of meat. Roll up and secure with a toothpick. Take a large pan(NOT nonstick) and add the onion, some olive oil, the meat rolls, the lamb pieces and half a glass of water. Cook over a high heat making sure that the meat catches on the bottom of the pan but doesn’t burn. Scrape the pan frequently with a wooden spoon. This is an important step as it contributes a lot of the flavour of the sauce. 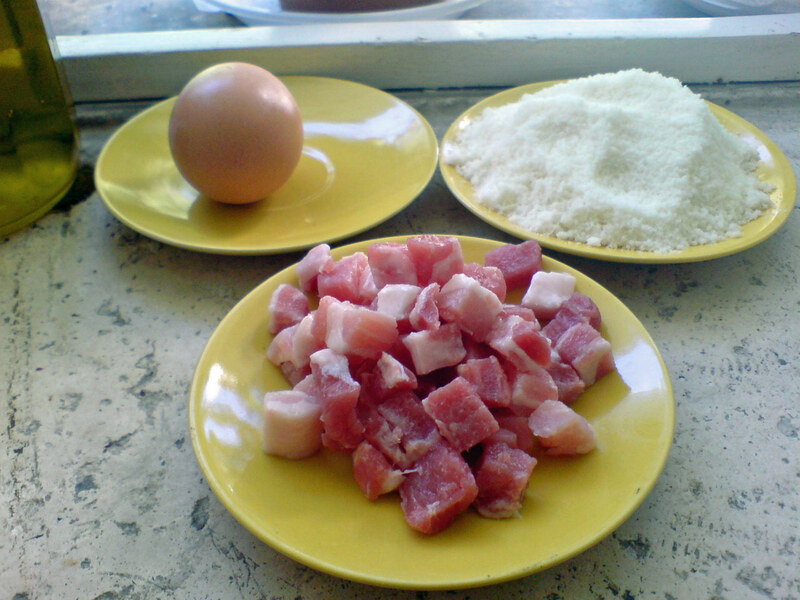 A few minutes before the end of cooking, season with salt and pepper. For the best results, allow to cool, refrigerate over night and reheat the next day. When you are ready to serve, remove the meat and keep warm. Serve the sauce with pasta as the first course followed by the meat as the second course. If you prepare this on April 25, you will be carrying on an ancient tradition that dates from the days of the Republic of Venice. This springtime dish of creamy rice and peas is made in Venice and its surroundings area to celebrate the feast day of its patron, Saint Mark. Almost the consistency of a soup, risi e bisi should be served as a course of its own. In the past, risi e bisi was presented on Saint Mark’s Day with much ceremony to the doge, the leader of Venice. You can streamline this dish by using small frozen peas. Add a couple of ladles of hot stock and bring to the boil. Add the rice and stir. 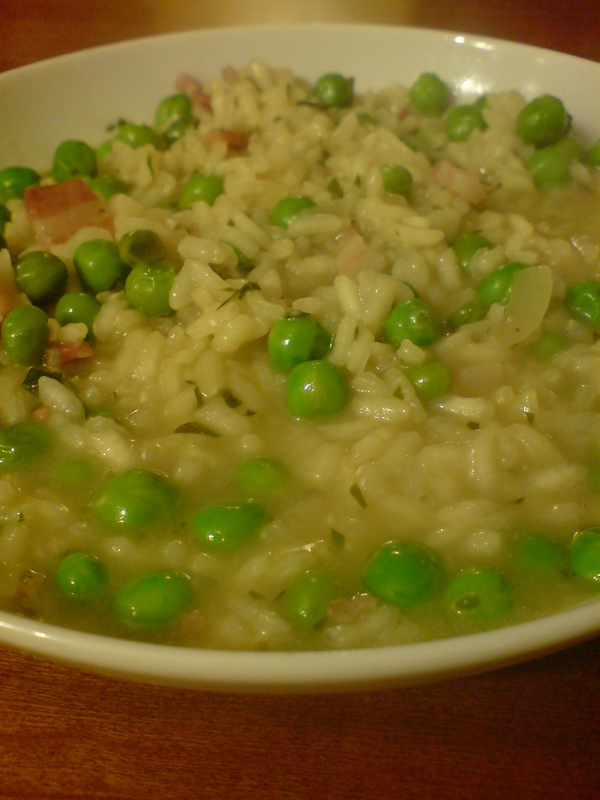 Continue in the usual way for risotto – note: use more stock than for a standard risotto. The finished dish should be quite sloppy – almost like a soup. I chose this image because it shows excellently what should be the consistency of the risotto – neither too thick nor too liquid – in Venice is said to be “moeche”. which translates as soft and a little sticky. enjoy!